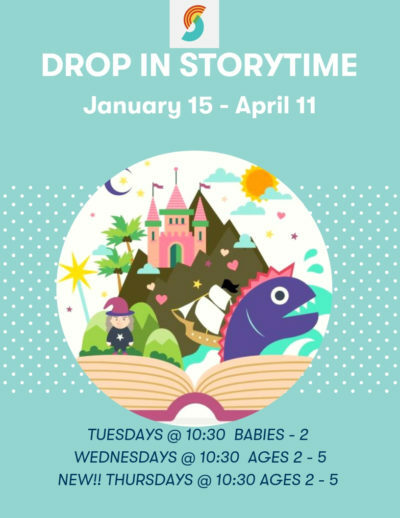 Drop in for a story and play time geared to babies — age 2. 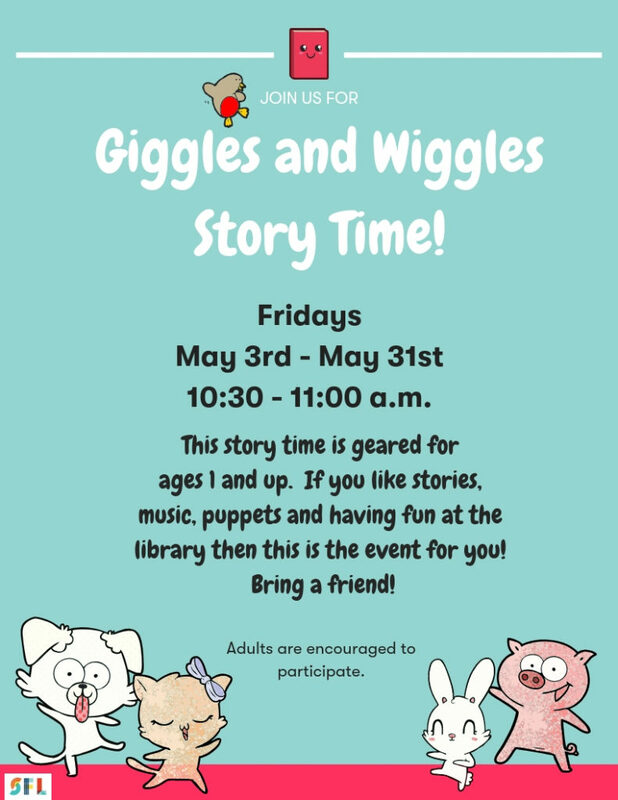 We offer stories, songs, finger plays and rhymes. Early literacy skills are introduced in a relaxed atmosphere. There is time for socializing and play afterward.